Color me surprised. Now if you'd have told me a couple of weeks ago that Kevin Spacy would be hosting this year's Tony Awards, I would have called you crazy. Don't get me wrong. I think he's going to surprise a lot of people. After all he is a two-time Academy Award winner. Not too mention a Tony Award winner for Neil Simon's Lost In Yonkers. Trust me. He will be fine. 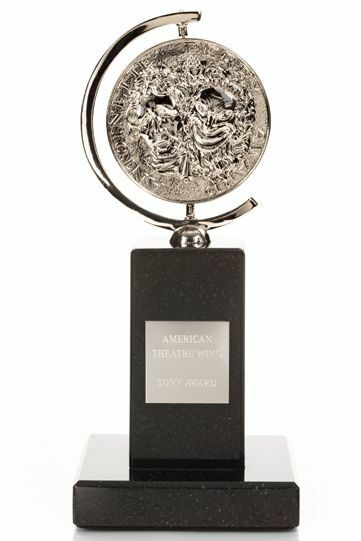 Nominations for this year's Tony Awards are set to be announced by Tony nominee Christopher Jackson (Hamilton, In The Heights), and Tony winner Jane Krakowski (She Loves Me, Nine) on Tuesday May 2 at 8:30am. So far this season there are thirty-six plays and musicals that are eligible for this years awards. Who will win this years top prize? Find out on Sunday June 11 at 8pm on CBS. Until next time theatre fans.